It was an oatmeal day today! 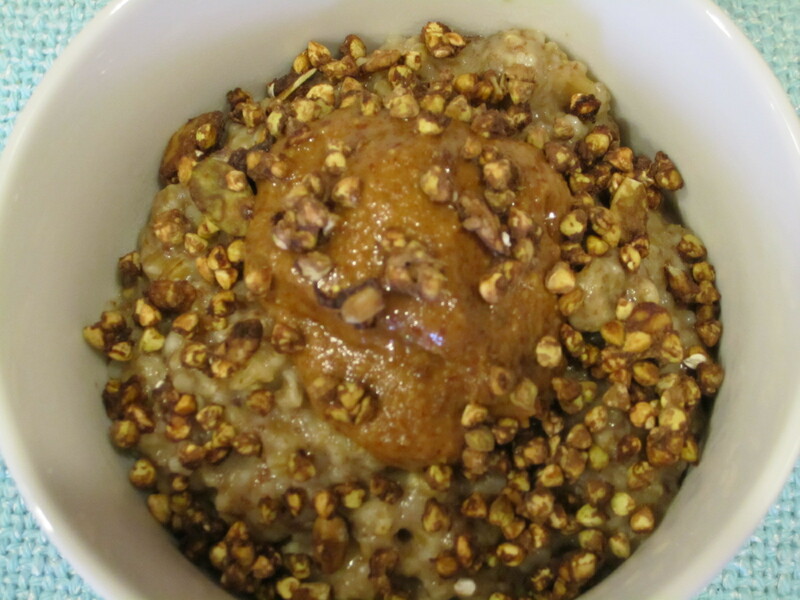 Steel-cut oats cooked with 1/2 banana and lots of cinnamon. 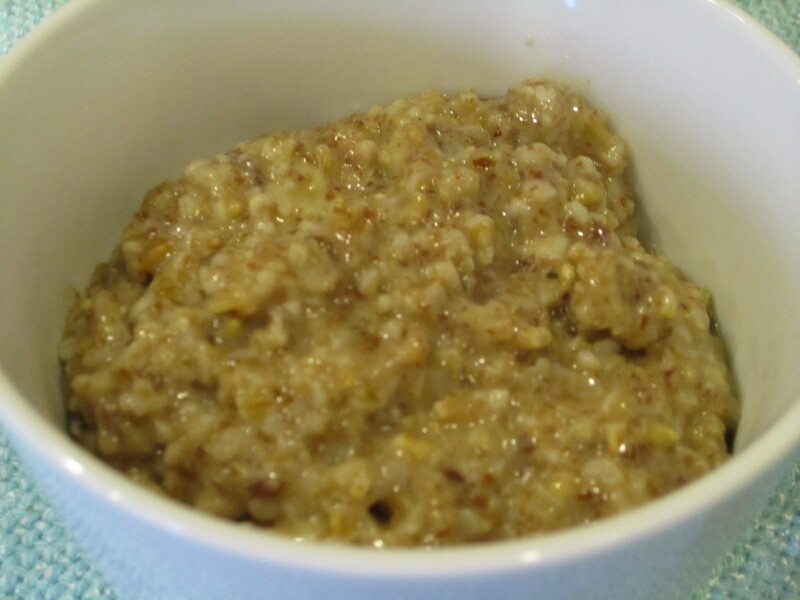 Steel-cut oats take awhile to cook, but it is so worth it. 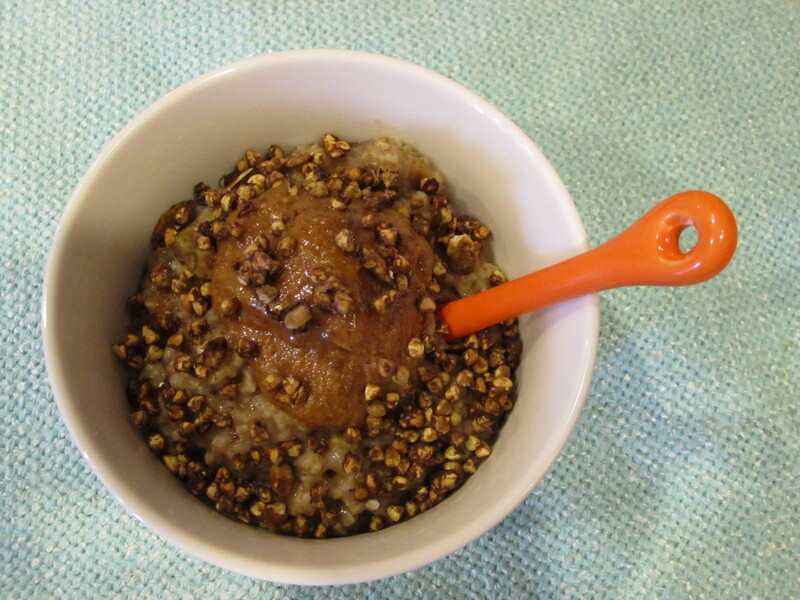 The texture is so much better than rolled oats…they never really get mushy. The oats are cooked, but still have a bite to them. Topped with a heaping tablespoon of Vanilla Almond Butter and Kaia Chocolate Buckwheat Granola. Unfortunately, this did not hold me over for long today. 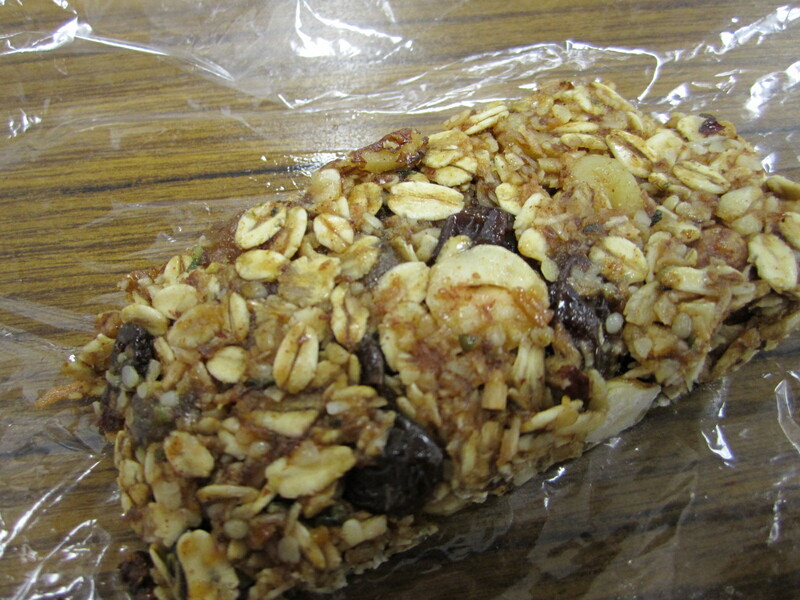 Mid-morning, I snacked on a homemade granola bar. 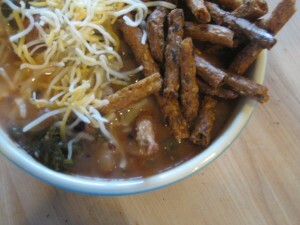 Then, lunch time came around and I ate my last bowl Bean Chili! That chili was awesome and it lasted for so long. I froze 3/4 of the amount and ate it for lunches and dinners when I was in a hurry (which has been a lot lately!). It held up well in the freezer and defrosted really easily. 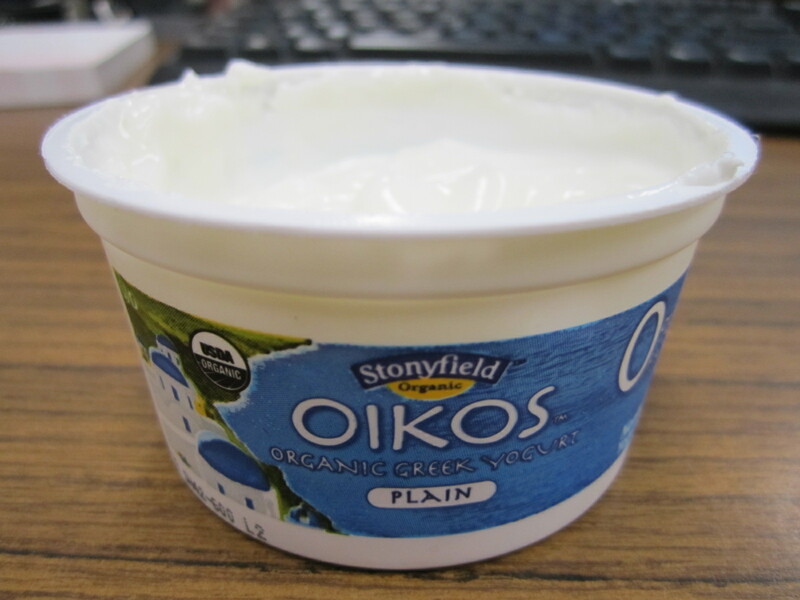 (I recycled this photo – today I ate it plain without the cheese and crackers). 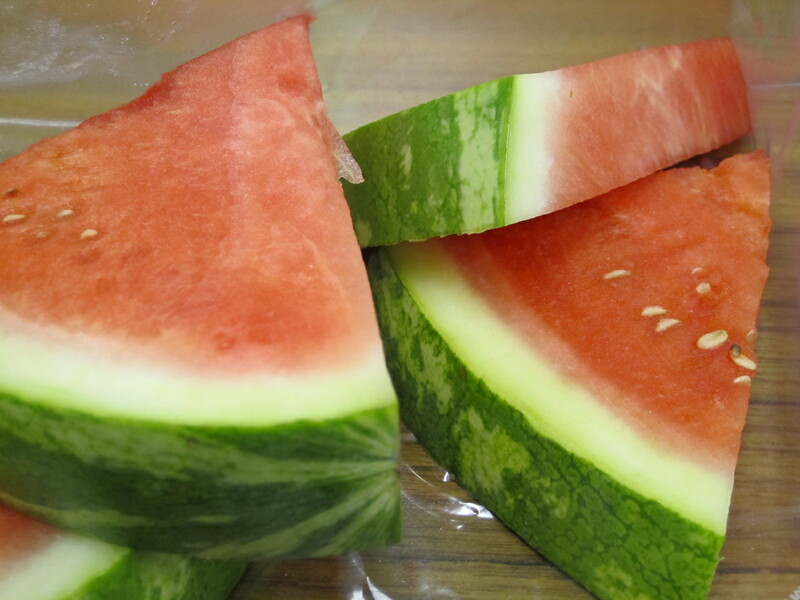 Mid-afternoon, I snacked on some Watermelon and Greek Yogurt. They were supposed to be part of my lunch, but I guess the chili seemed to fill be up today. Once home, I was starving! 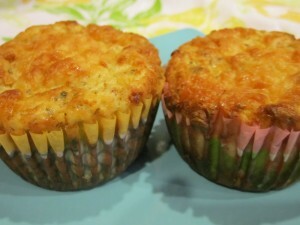 Waiting for Brant to make dinner had me snacking a bit…on two cottage cheese muffins (thank goodness that are fairly healthy!). 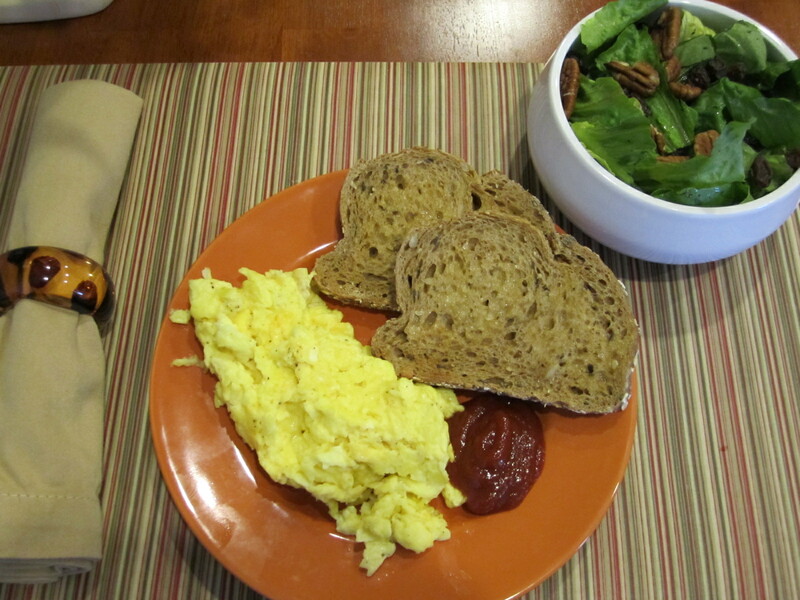 Then, we served Breakfast for Dinner because our fridge is empty! 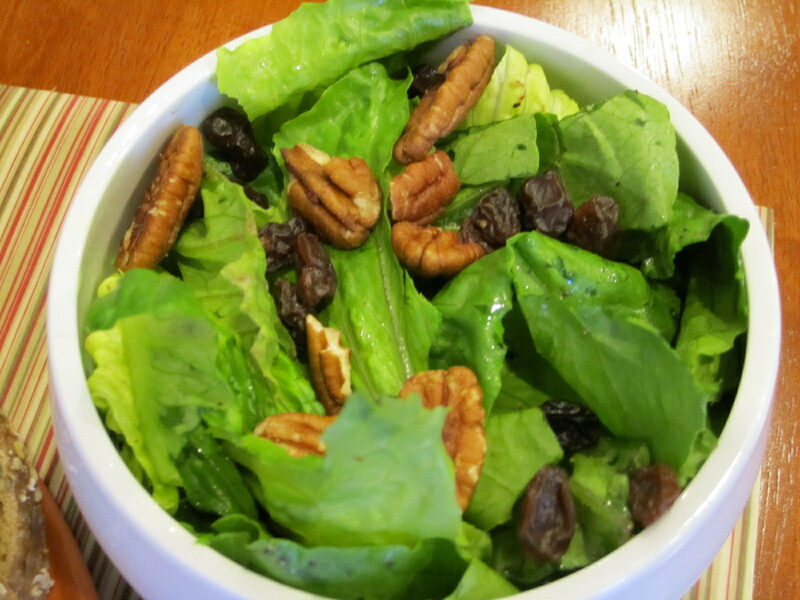 I added a salad with romaine (which surprisingly has held up in the fridge for 2 weeks…can’t be many nutrients left in that! ), raisins, pecans and a little olive oil, salt and pepper. 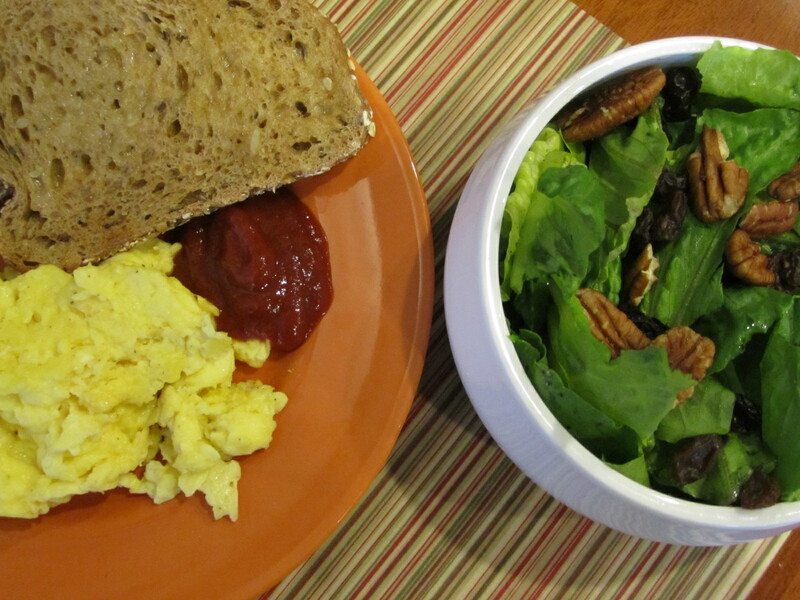 I needed some greens with my eggs! 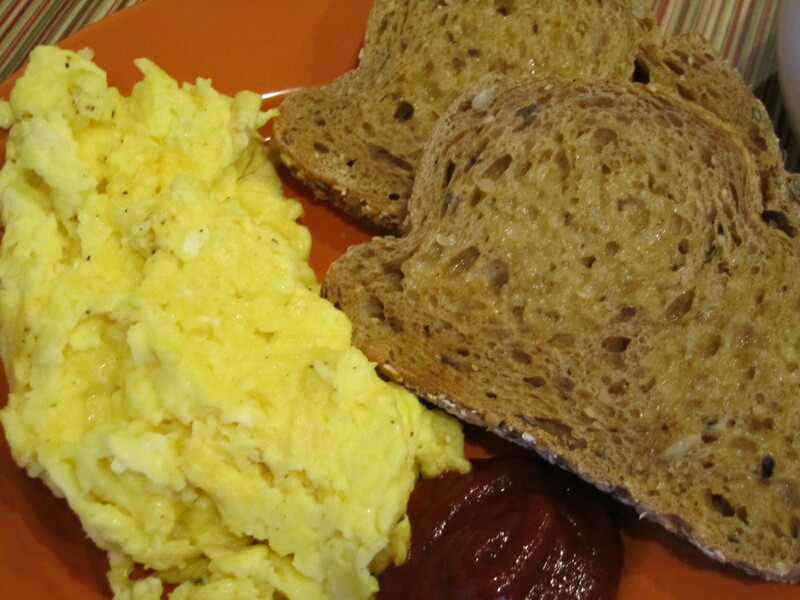 And, 2 scrambled eggs with cheese, toast with a little earth balance and ketchup (natural ketchup). Now, I am craving something sweet…I’m thinking dried strawberries and some chocolate!